A SPRIGHTLY 72-year-old has raised more than £1,000 for The Mercian Regiment Benevolent Fund after completing a gruelling climb of the Himalayas. Enid Corker’s challenge involved crossing Ngozumpa glacier and climbing Kala Pattar, a staggering 5,645 metres above sea level and home to fantastic views of Mount Everest. The Fund supports soldiers, veterans and their families, who find themselves in “need, hardship or distress”. Help provided can include the provision of wheelchairs, new furniture or even a washing machine; the charity also helps to pay for services such as additional medical care. Working in conjunction with ABF The Soldiers’ Charity and the Royal British Legion, the fund spent in excess of £87,960 on more than 300 different cases last year. 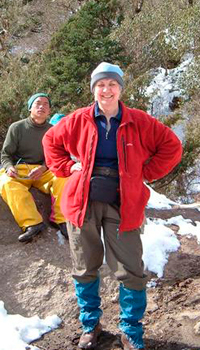 For more information on Enid’s trek, visit www.justgiving.com/Enids-Intrepid-Himalayan-Adventure.